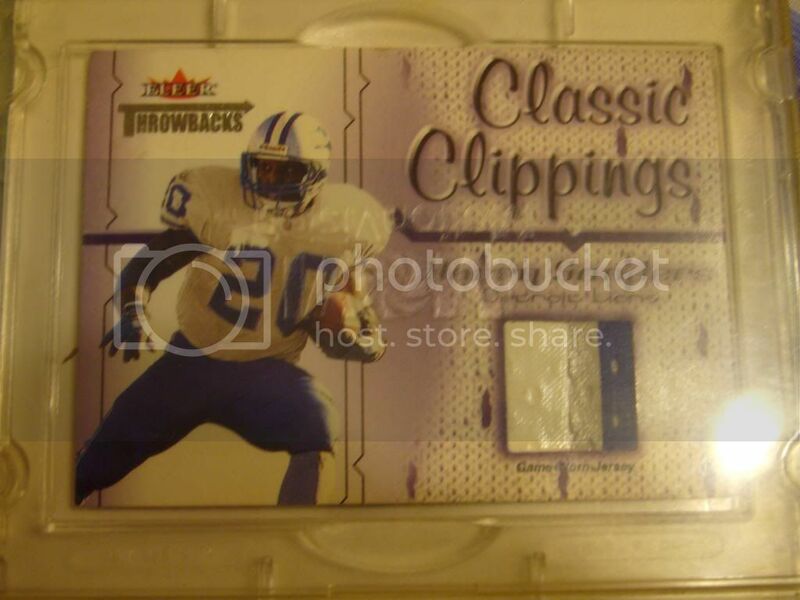 02 fleer throwbacks classic clippings triple color jersey card of the greatest running back ever!! im local here in stillwater so if you are interested you can come see it or i can send a pic on cell phone if you want. there is 1 currently on ebay going for 50 bucks but it is single color white. id like to get 70.00 for this card. if you are a collector of sports cards hit me up and ill see if i may have others you would like to and ill make you a nice deal. its not a numbered card like 1 of such and such.